When it comes to navigating the disability interactive process in compliance with federal ADA law and myriad state disability laws, no human resources professional is better qualified than Rachel Shaw. 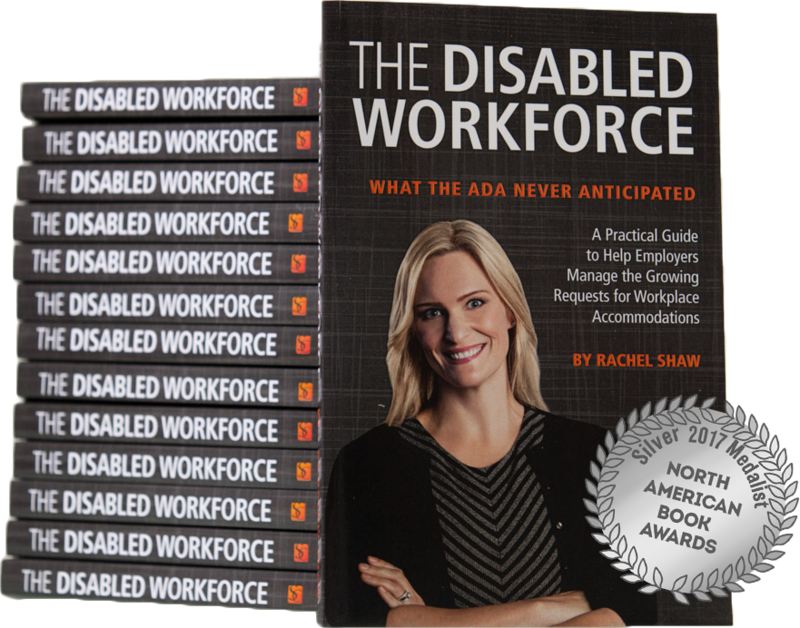 With “The Disabled Workforce,” Rachel has written the book on ADA compliance, using straight talk to clarify confusing and complicated disability discrimination laws, while revealing her signature methods for managing the disability interactive process and its many challenges, including leave management, discipline issues, mental disabilities, fraudulent claims, and more. Rachel’s revolutionary Disability Interactive Process Hallway™ will help you master ADA compliance while nurturing your diverse and dynamic workforce. Download a sample of Chapter 1 and Chapter 2 here for free!